Our staff at Longwood Pharmacy will do our utmost to treat each of you the way we like to be treated. 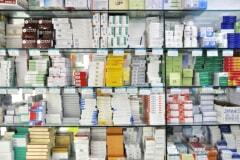 We provide you with the best service – to make our pharmacy deserving of your recommendations. From the start, we’ve always held a promise of excellence customer care. To this day, we grab every opportunity to impress you with our prescription medication services and health care products. Our pharmacists provide expert counseling services about medications and nutritional supplements. Our pharmacy accepts most major prescription insurance plans as well as Medicare and Medicaid. We can also provide computerized tax receipts. We provide a variety of services for you. No Insurance? No problem. Check out our prices on the prescription drugs if you have no insurance. All of our services come with a 100% money back satisfaction guarantee. We will match any competitors’ offer*. Medical supplies- walker,walking canes and boots, etc. Experience the difference when you shop at Longwood Pharmacy. Call 407-332-9753 now for more information.